If you’re thinking of filing for bankruptcy I would encourage you to consider debt settlement first. Debt settlement is often a much better option to bankruptcy in most cases. This article will show you why. Why bankruptcy is to be avoided! We all know what bankruptcy is. It’s basically a government get out of debt card. Well that’s what some people sell it is but the truth is often more complicated than that. Much more complicated. You see bankruptcy comes with a lot of very dark strings; the least of which is the social stigma! Going bankruptcy could cost you your home! A chapter 7 bankruptcy will ruins your credit for 10 years! Bankruptcy is extremely expensive costing up to $5,000! Debt settlement is basically what it sounds like. You and your creditor(s) agree that you only have to pay a portion of what is owed. This usually only occurs after you’ve missed payments, your credit scores have been shredded, and they know they’re unlikely to get the whole balance back. On average most people end up only paying 40%-50% of what they originally owed after the debt settlement process is complete. Debt settlement can’t be all rosey! As with bankruptcy debt settlement can drop your credit score. However, most people who are at the point where debt settlement is needed are already dealing with less than perfect credit. Also after the debt consolidation process it is recommended you go through credit repair to get your credit back on track. Even with this impact it won’t be as bad as having a bankruptcy on your record. 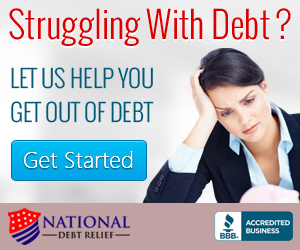 The debt settlement process can take anywhere from 12-24 months depending upon your unique circumstances. Whoever you choose to work with will explain all of this to you. 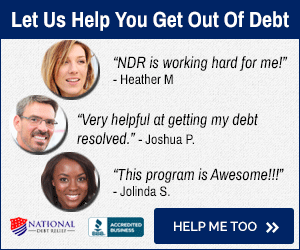 With all that being said the pros of debt settlement far exceed the cons and make debt settlement a great alternative to bankruptcy for most people and small businesses.